Take the Sixthman experience with you, wherever you go. 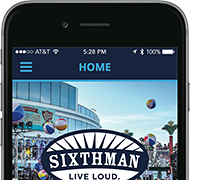 Sixthman's mobile app* keeps you up to date with all your favorite Sixthman festivals & artists! Browse artist lineups for all our festivals at sea, read bios and news, see itineraries, countdowns and destinations. 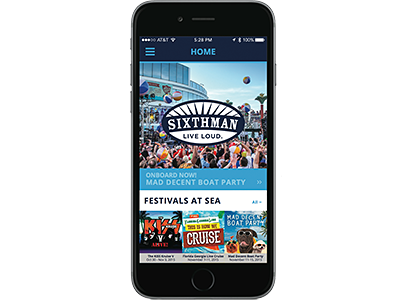 Explore new onboard tools while you're at sea for easy access to deck plans, the festival schedule, announcements and more! *Our app is not available for Android devices at this time, we hope to re-release it in the future. Our new iPhone app is available for all versions of iPhone. iPad optimization coming soon. Our app is not available for Android devices at this time, we hope to re-release it in the future. Sixthman.net is mobile friendly. Featuring responsive web design, you should be able to view this site on any desktop, laptop, or mobile web browser.